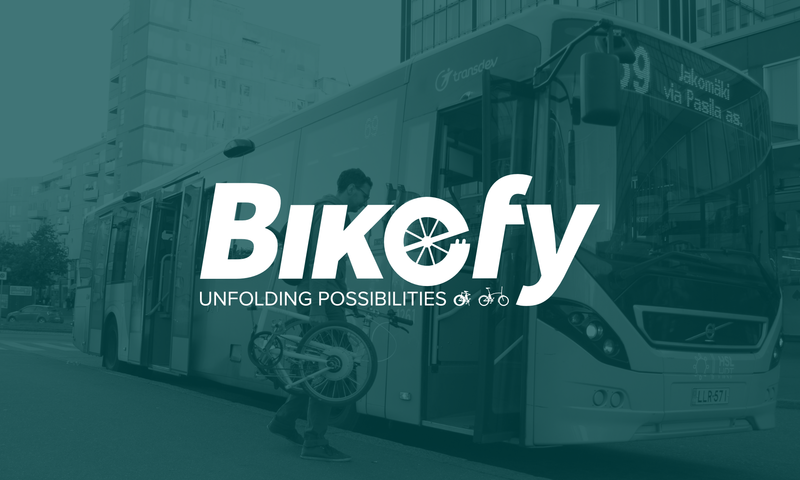 Bikefy Trial in Finland Kicked Off! Today we kicked off the Bikefy trial in cooperation with HSL, HSY and the City of Vantaa in Finland. The trial will run until 2. October and features six different folding bikes that are being put to the real world test by six enthusiastic test users. We chose three “conventional” folding bikes and three electric folding bikes to test during the next four weeks. Each user will get the chance to try out one electric and one non-electric bike for two weeks at a time. The conventional folding bikes we are testing are the Tern D7i, the Beixo Crosstown and a Brompton. As we are focussing on lightweight electric folding bikes, the candidates included in the trial are the Ahooga, the Vello and an Uma. In addition to that we also included an electric version of the Beixo Compact High as cross reference. The trial will help determine which bike would be the best for the Bikefy service and what kind of pros and cons exist in the real world when combining electric folding bikes and public transport for everyday commuting. Our partner for providing the different folding bikes is Kultaiset Pojat Oy.